Replies: 227 (Who? ), Viewed: 532759 times. I'm finally releasing the Tall version of the Height slider. Unfortunately, making a Sim shorter than normal is extremely difficult without major bone deformations. This slider appears in the Head and Ears section, and only makes Sims taller. Thanks to jfade for tweaking the tall version! Note: If you really want to play with the short version, it's still in the package file - you just have to tick the Bi directional flag in the Blend Unit. This is awesome, just off to test now! Hooray!! Between your and Jonha's sliders today, it feels like Christmas. As a side note to others, if I'm correct, one cannot have the pointy ear sliders (3 sliders), the tall slider (1 slider) AND Jonha's new head size slider (1 slider) all coexist in the Head/Ears section without the AwesomeMod to up the slider max. (The max in any one section is 20, and all of these plus the head/ears pre-existing game sliders would put it at 21. 1 user-created slider will have to be sacrificed). For me, I don't care about head size. I'm sacrificing it for the height! Off to test it out. Wow, we're becoming spoiled for choice now with all these new sliders appearing, thank you! Finally, a Sims game where we can have men who are taller than women! #5 12th Nov 2009 at 10:35 PM Last edited by schitzwa : 12th Nov 2009 at 10:47 PM. Just had a quick test. When the sims is at his/her tallest the shoulders seem to pull up. Kissing is regretably off but I have yet to test with similar heights. There also seems to be some bed issues.. I've tested many animations as well, and everything seemed to work fine. Sim-to-sim will be out of place, but the slider is awesome so it doesn't matter! 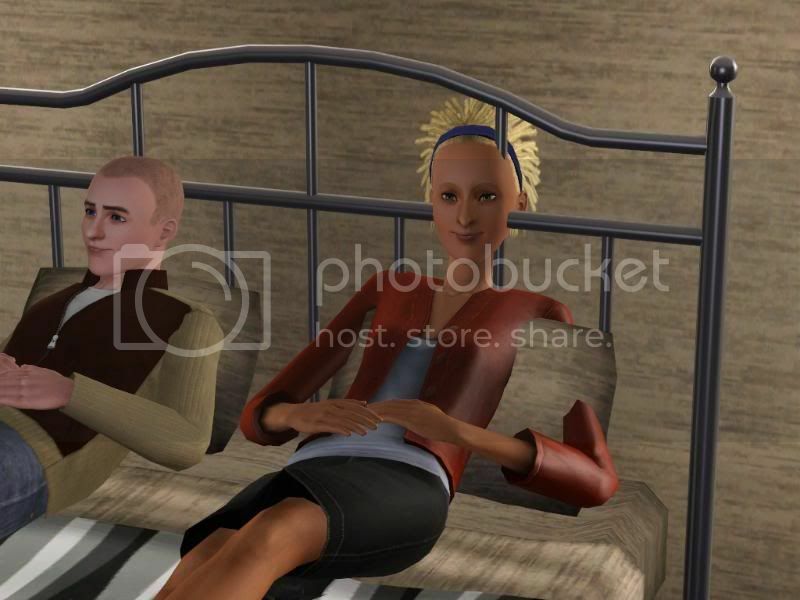 I tested quite a few sims to sim and I found as Anubis said sims look fine at each other. Animations like holding hands works fine. I tested my sim on a chair fine and the bike animation works fine also. #8 12th Nov 2009 at 11:05 PM Last edited by duppyraces : 12th Nov 2009 at 11:16 PM. Within normal slider constraits, the in-game effect is awesome! At first glance I was thinking the max height/normal height difference was subtle, but upon further playing, it's very, very effective. Loved seeing my different height sims sitting on the couch together. 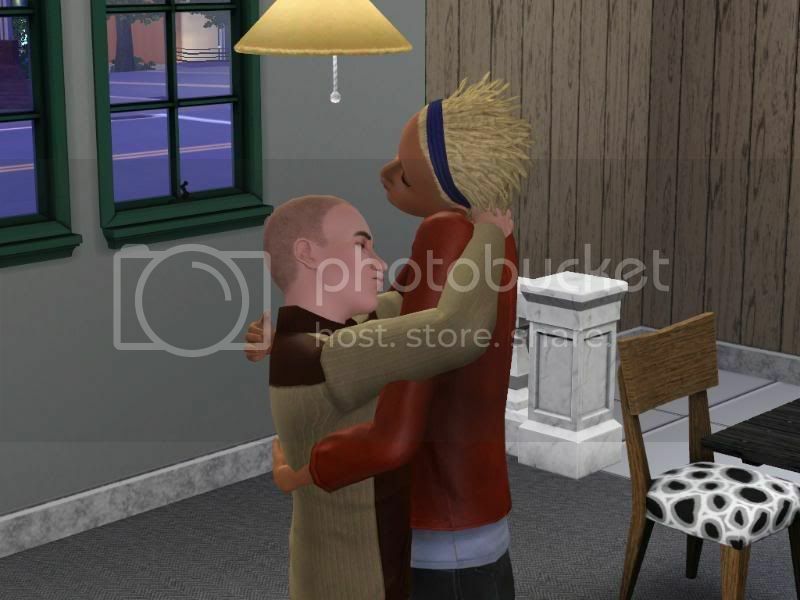 Interactions between regular/max tall sims such as embracing, holding hands, stroking cheek, whispering all appeared mostly normal. Of course, the taller sim will kiss the shorter sim's nose, but on the whole, the height interaction issues are a lot less obvious than I thought they would be. Where people will run into trouble is, again, with max slider limit hacks or enabling your "short" slider. If you color outside the lines and make your sim a full head taller, things aren't going to line up correctly. The slider as you have it is absolutely awesome and enough to get the "essence" of what people want most of the time, which is just SOME height difference between sims, without sacrificing interaction visuals. Bravo!! First off, just have to say this is the slider I've been waiting for the most out of all of them, so I was very excited to see this! I'm using AM with the slider multiplier set to 2, and have noticed a few really strange proportions when I move the slider all the way to the right. Firstly, it doesn't appear as if the pelvis area is moved at the same 'rate' as some of the other bones, giving the sim's torso a stretched look. This also seems to stretch out the arms more than they would otherwise be on a taller human, for instance, giving them an almost freakish appearance rather than plain ol' gangly. It's almost like I want to squash the sim's head and shoulders down. The feet, hands, and head seem to be perfectly proportioned! It just looks like bits keep moving up when other bits have stopped. aikea: The pelvis and the hands (and arms in general) are the reason it took so long to tweak this slider. The reason is becuase the pelvis is connected to everything, pretty much. If you adjust that, then you have to adjust a TON of other bones. If you change the pelvis to move it up you also need to change the thighs, and the calves, and the spine and the hips, and so on.. I know about the torso issue, and while it can be fixed it means tweaking lots of little values, testing, tweaking them some more, testing, etc. With 20 bones to go through, that takes a while. Anybody is welcome to take the values and tweak them using the Bone Delta Editor, for a more realistic look. Also, I do NOT recommend using any slider multiplier things with this hack - in other words, don't exceed the limits. I noticed a ton of animation/clipping/flashing issues when the bones go too far, and chose the current settings based on this. Delphy, i Love the tools i just have one question about them. The Shoulders! is there a way to adjust the shoulders so that they don't stick out as far? or maybe just slope them down a bit? 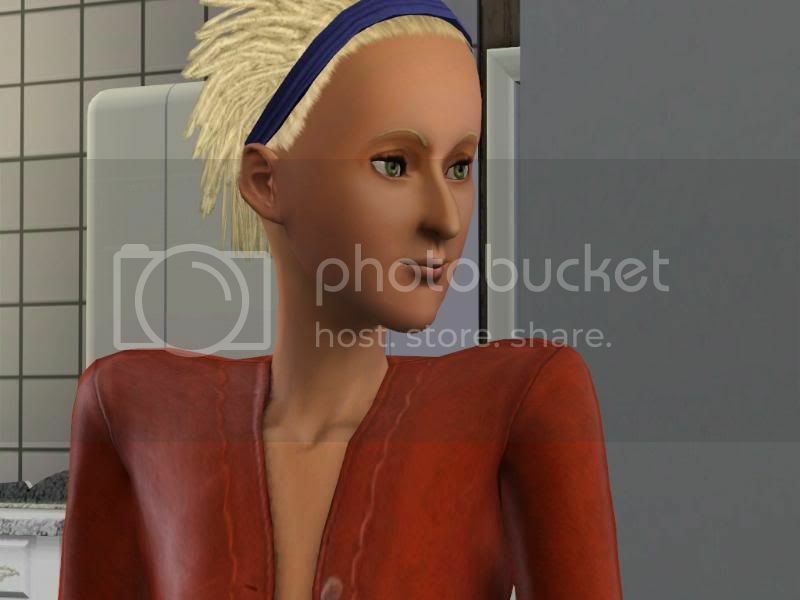 i think it would help a lot to make the sims look more gangly than a mutant-y. Right now my girls are hyper-skinny but they look like they have swimmers back you know? I've played with this only a little, but am very pleased with the taller Sims. Within the slider's un-hacked range the taller body looks very good. It's not a huge change but very effective. Outside that range it's only to be expected the body will distort in various ways. I did modify the BlendUnit and took a quick look at the short morph - obviously this will take more work! This gives me some appreciation of how all the bones have to be adjusted to make the height change look good. Delphy - one observation/suggestion. Your slider seems to increase height mostly in the upper body. More leg length would be good, especially for females, unless there's a reason you did it this way. A slider to increase/decrease frame size independantly of the fat/thin morphs might go with this very nicely. Maybe I'll look at that myself as my first bone-based project. CmarNYC: The legs suffer from extreme "bendy knees" syndrome if you move the pelvis much - which is extremely difficult to correct, and the reason why I didn't enable the Short slider. Hence why most of the height is in the upper half of the body and not the lower half. You are, of course, welcome to experiment with different values (or, rather, combinations thereof) to make something better. DELPY u rock the sims 3 and sims 2! what we do without u? Yes, I saw the bendy knees for myself in the pre-beta short morph, and it sure looks like that's going to be very hard to adjust. Am curious what happens to knees when the pelvis goes up. my life is officially COMPLETE!! wow thanks delphy! i thought something like this would take at least a year but here you are a month or less after releasing the breast sliders you've got the height slider!!! I LOVE YOU! As Delphy said, anyone can tweak this and improve it, and I'd be happy to get any improvements. Would love to try the short version. But I'm rather ignorant in technical things. What do you mean with "you just have to tick the Bi directional flag in the Blend Unit"? PS. I'm using a Mac, if it matters. If you were on a PC you could use Delphy's BlendUnit editor to do it. On a Mac, you'd have to use a hex editor and look up the file structure. Find my earlier post on this thread to see what the experimental short slider looks like in action, then decide if you really want it. Extract and put it in the same folder as this mod. #25 29th Nov 2009 at 10:02 PM Last edited by jaimedeoya : 30th Nov 2009 at 11:58 AM.